The mission of Global Organization for Maternal & Child Health (Go-MCH) is to utilize evidenced-based strategies advised by medical and public health experts within communities of which we serve to develop local solutions that are culturally sensitive and scientifically based in our efforts to improve the survival of women and children. We believe survival is vital not only through the initial birth, but also includes ongoing access to sanitation, nutrition, and education to save a life, and make it last. Go-MCH’s Board of Directors and Scientific Advisory Board are comprised of dedicated doctors and public health scientists. Its founding members were brought together at University College London, Institute for Child Health where the importance of developing scientifically based intervention programs that prioritized local solutions that respected religion and culture and met the needs of the population at the field level was stressed in graduate coursework. 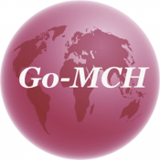 Comprised of members from low income nations in all regions of the world, Go-MCH is a 501c3 non-profit with current programs being developed in Latin America, Asia and Africa. Go-MCH is committed to bringing improved survival rates to impoverished communities where women and children face continued barriers to healthcare, nutrition, education, and clean and safe living environments. We work on pilot projects that demonstrate our model of intervention, which is working to be culturally sensitive, reduce diplicantion, based in science, includes rigourous monitoring, and evaluation and improves program and healthcare service capacity. We work to avoid duplication and wasted resources through community analysis by scientific advisory board members and project development based in systems integration theory and capacity building. Go-MCH also takes the role of a Think-Tank, advocating for scientifically based intervention programs through position papers, outreach, and messaging. We hope to build models that can be used by other organizations by applying methodology provided to us by UCL, Institute of Child Health. Our programs are in various phases of development in Nigeria, Nepal, and Guatemala, where we have scientiific advisory members taking the lead. One of the hallmork aspects of Go-MCH is that we operate mostly on volunteer time, which enables the most passionate people to contribute, keeps overhead costs low, helping keep all of the funds going directly to the programs for women, and children who need it most.